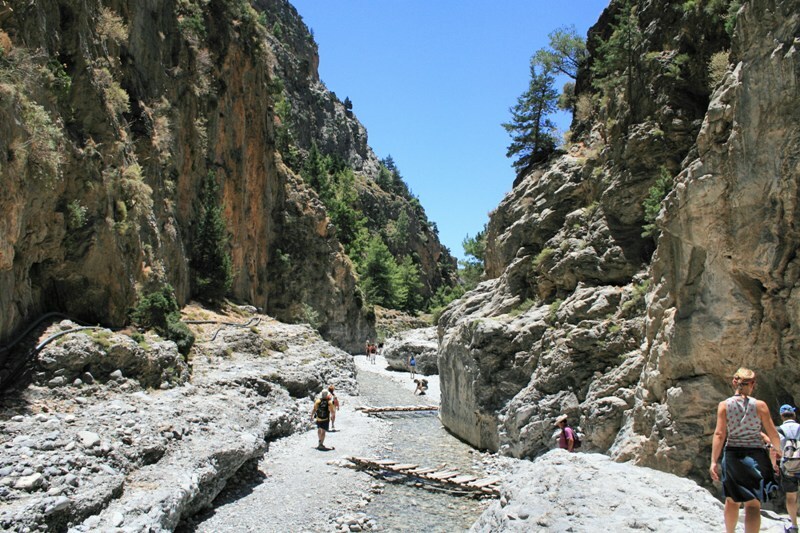 SAMARIA GORGE NATURAL PARK – statusmlb – Travel in Crete! 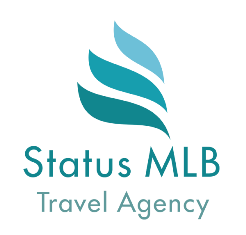 Transfer from hotels located in the HERAKLION area: Amudara, Analipsi, Anissaras, Gouves, Gournes, Carteros, Kokkini Hani, Hersonissos, Malia, Stalida. The cost of transfer from hotels located in the village of Fodele, Agia Pelagia, Ligaria increases by 10 € for an adult and 5 € for a child. Note: Additional payment for the transfer of certain areas, specify the location of your holiday when you order the tour. From 06:00 to 22:30 (depends pick up location). By bus (moving up to 2.5 hours) one way. 18 kilometers along a very rocky path, sometimes steep. 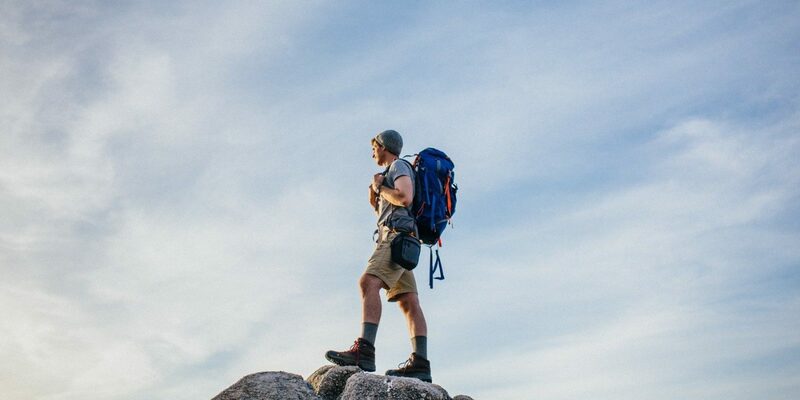 Special for hiking or running sports shoes, preferably with hard soles, otherwise you risk not going through control when entering the gorge of vigilant personnel, hat, sunscreen, bathing suit, water and money on entrance fees. If you suffer from seasickness - bring chewing gum "Travelgum" or motion sickness pills "Emetostop". 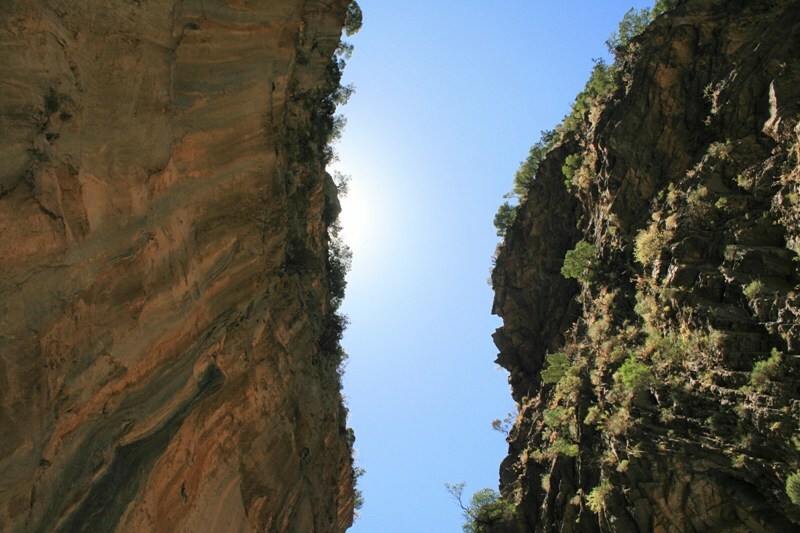 Visiting the gorge is usually recommended for children over 7 years old, who like to walk a lot. Infants only in a special backpack.. Upon cancellation of the tour for more than a day - 75% refund. No refunds in case of cancellation less than 24 hours. BEAUTIFUL NATURE IN THE LONGEST GORGE IN EUROPE. 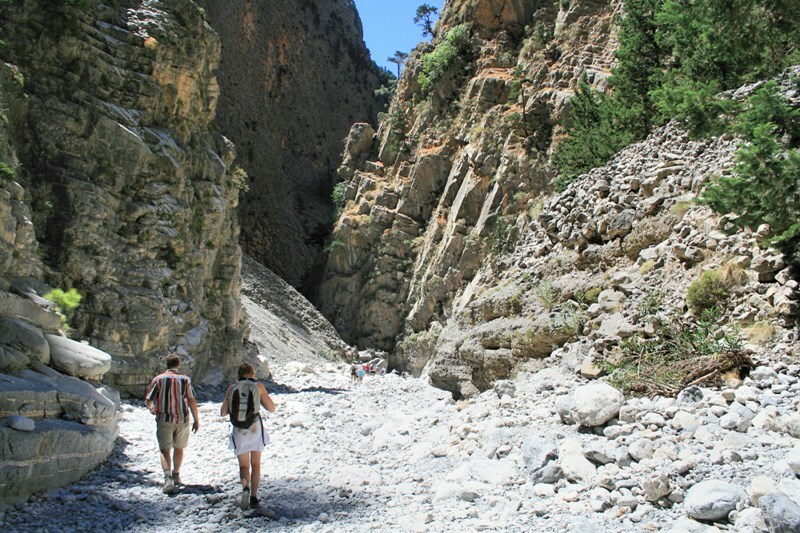 A unique walk through the Samaria Gorge, the largest in Europe, with a length of about 18 kilometers, will allow you not only to admire the breathtaking views of the wildlife, but also to test yourself. 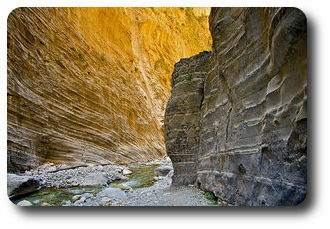 Samaria Gorge is located in the heart of the majestic "White Mountains", south of Omalos plateau. Tourist route begins at an altitude of 1250 meters above sea level along the trail with wooden fences, laid down the mountainside. 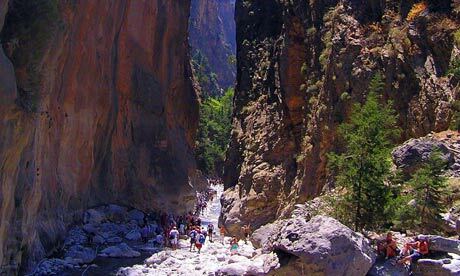 The narrowest and probably the most picturesque place called "Portes" - gates, where cliffs rise to a height of 500 meters, while the width of the river gorge at only 3-4 meters. 47 bridges cross the river Tarraios passing through the White Mountains and the valley. In winter, the river is a raging tide and a babbling brook in the summer. 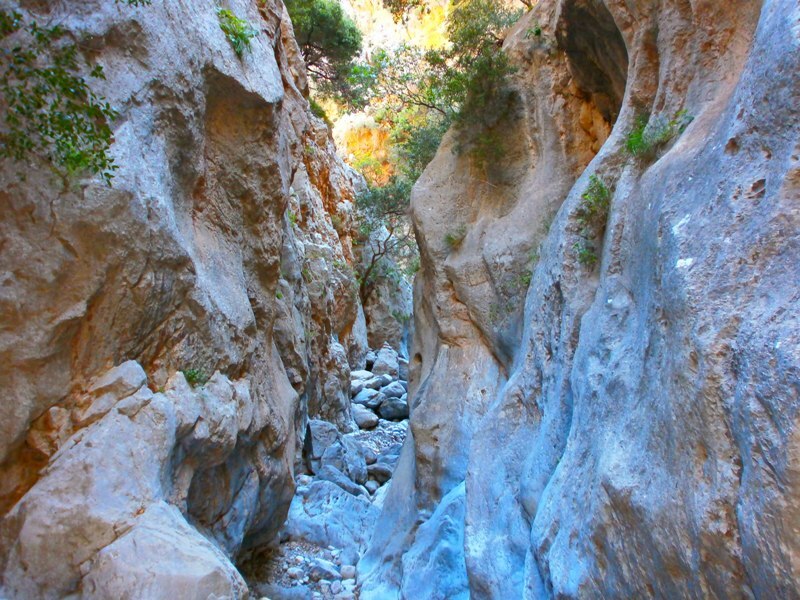 Since 1962, the Samaria Gorge is declared a national park with its unique flora and fauna. You get to meet with the inhabitants of the reserve - wild goats Kri-Kri or see rare species of orchids. 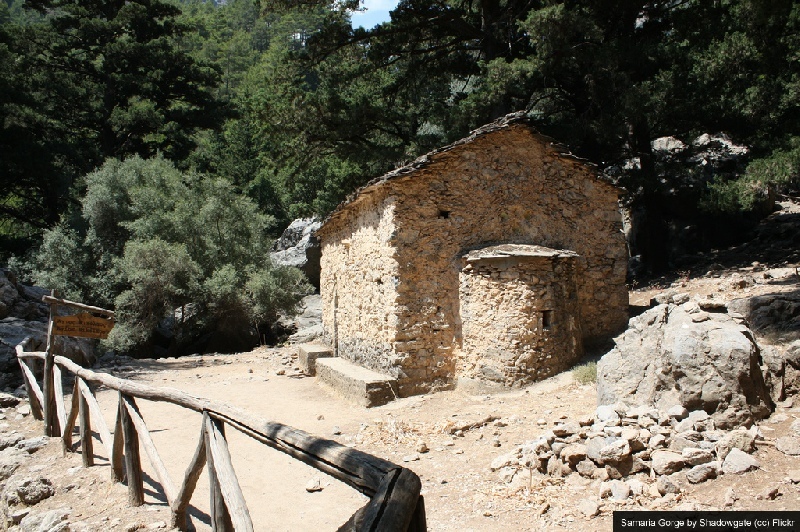 The walking tour begins in the early morning from Omalos plateau 43 km from the city of Chania. Walking time is about 5-6 hours, so be sure to take some water and something to eat. Before entering the gorge and at the exit there are taverns where you can dine, and throughout the whole journey you will have to be content with only your own reserves. Descenting along the picturesque mountain stream will take you to the southern coast of the island to Agia Roumeli. After relaxing and swimming in the crystal clear waters of the Libyan Sea, you will go on a small boat along the southern coast of Crete to the port of Chora Sfakon where you will wait for the bus. 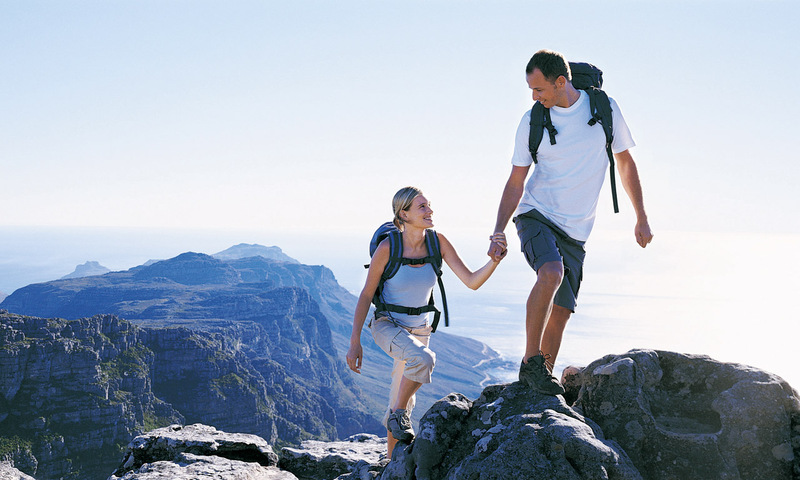 Take very seriously the decision to visit the gorge, especially if you have health problems such as high blood pressure, heart disease, diseases of the musculoskeletal system. The path has to be overcome at a sufficiently energetic pace with the air temperature reaching sometimes up to thirty-odd degrees in the shade. 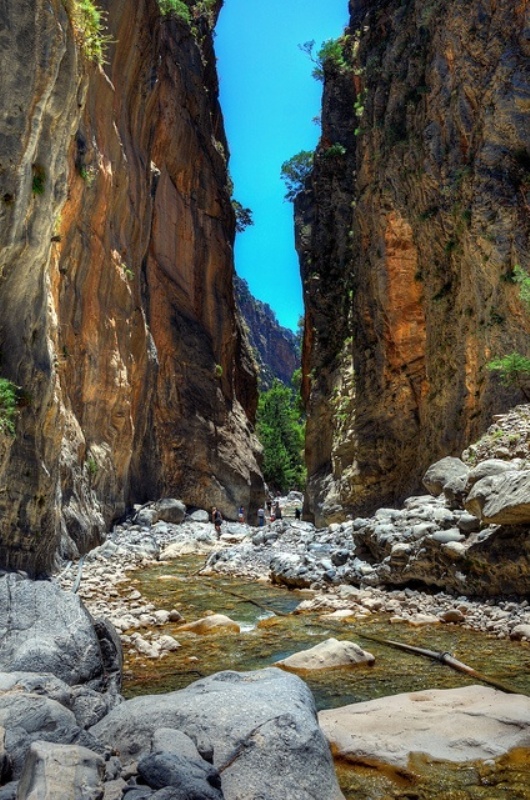 The Samaria gorge is considered as the most significant sightseeing place of Crete and is located on a height of 1227 meters above sea level. 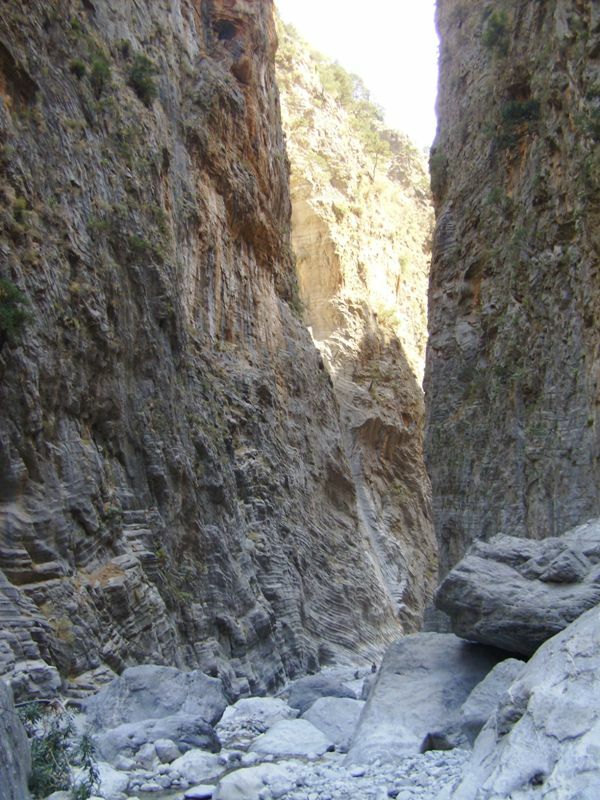 This is the longest gorge in Europe consisting of 18km pathway and width from 3 to 300 meters. In 1962, the gorge was announced as a protected area and it encompasses 450 species of plantation as well as many pines and cypresses. Also you might be lucky to see the one of its kind, Kri-Kri goat that nowadays is unfortunately endangered.